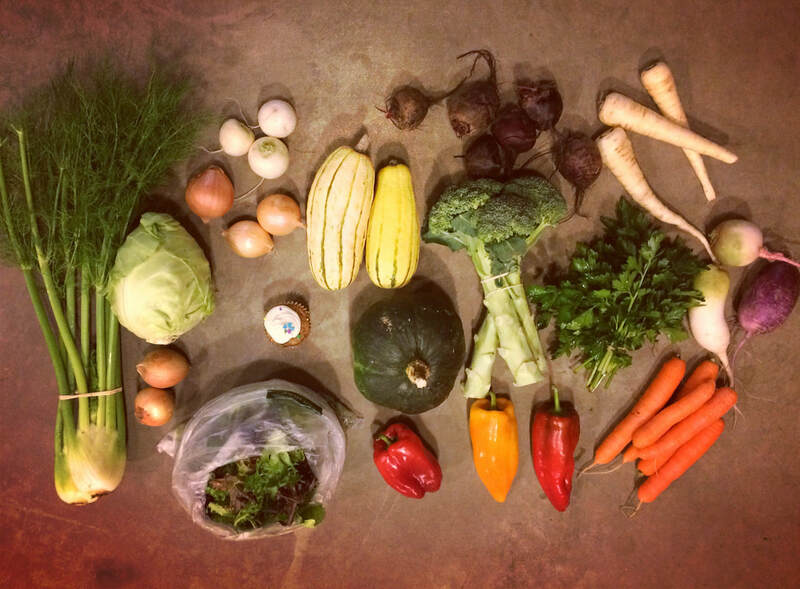 Our CSA is a great way to get the freshest most delicious vegetables around! For 18 weeks from mid June to mid October you will receive a basket full of our Certified Organic vegetables. Sign up early to reserve your spot this year! You buy a "share" or membership to our farm in the winter or early spring when our costs for seeds and supplies are high. This gives us a financial boost to get us going until harvest time. Regular Share- feeds 2 people. Your cost is ~$21 per week. You receive around $25 per week worth of produce, during the height of the season it is usually more. Large Share- feeds 3-4 people. Your cost is ~ $30 per week. You receive around $36 per week worth of produce weekly, more during peak harvest season. Add a Bread Share from our friends at Slowfire Bakery in Jeffersonville - Featuring Country, Italian, Salted Herb and special seasonal breads too! Our CSA share cost will save you 15% off grocery store prices! Old Homestead Farm pop-up farm stand every three weeks during CSA pickup. Offering pastured angus beef in a variety of cuts. 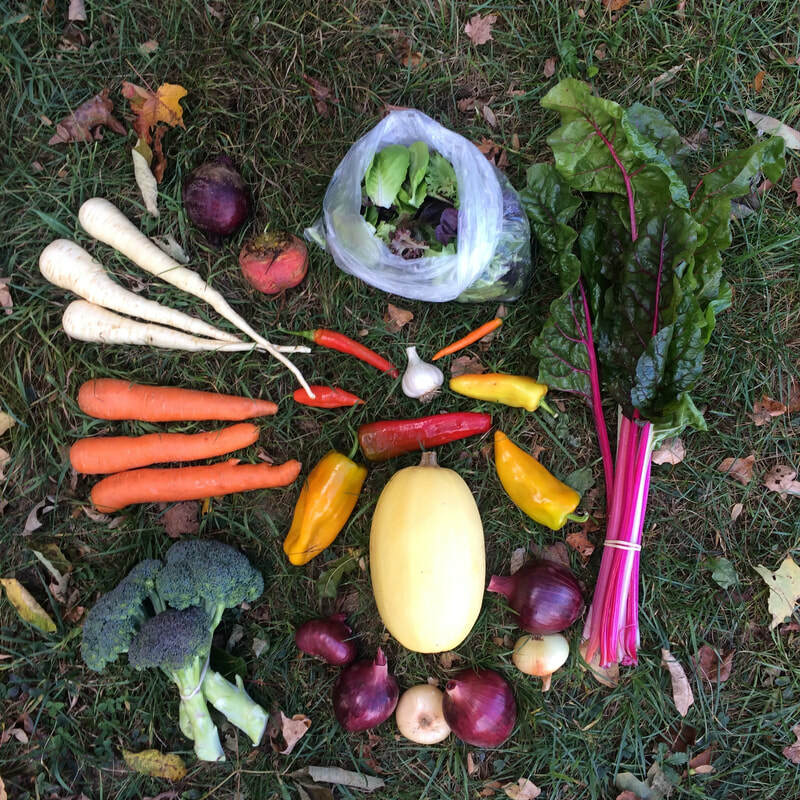 Our Fall CSA runs from the end of regular CSA season until Thanksgiving. The first couple of weeks may contain late field crops like the last of the sweet peppers, broccoli, cauliflower and radicchio. As the Fall CSA moves on you will see more root crops like carrots, beets, cabbage and potatoes. 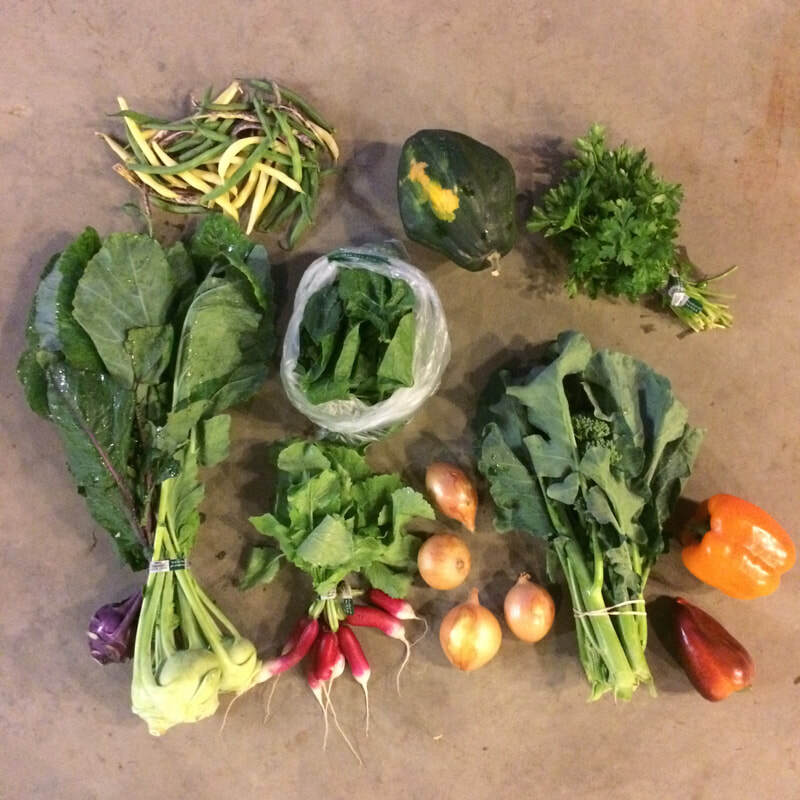 Greens and winter squash are included in each share, occasionally we add specialty items from our kitchen! Shares are limited and offered first to current CSA members. 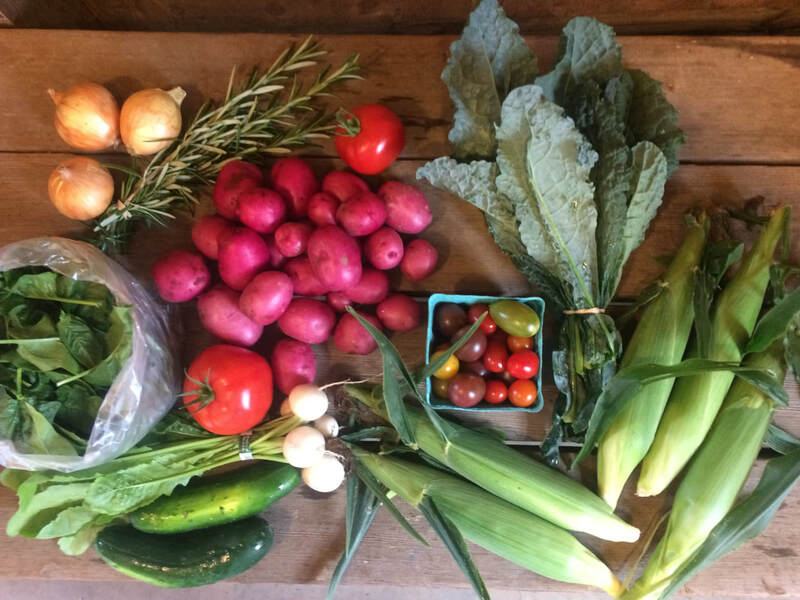 Joining Knee Deep Farm's CSA keeps more of your money in our town. We keep this going by doing business locally whenever possible. Buying directly from the farmer means a better price for you and for us too. 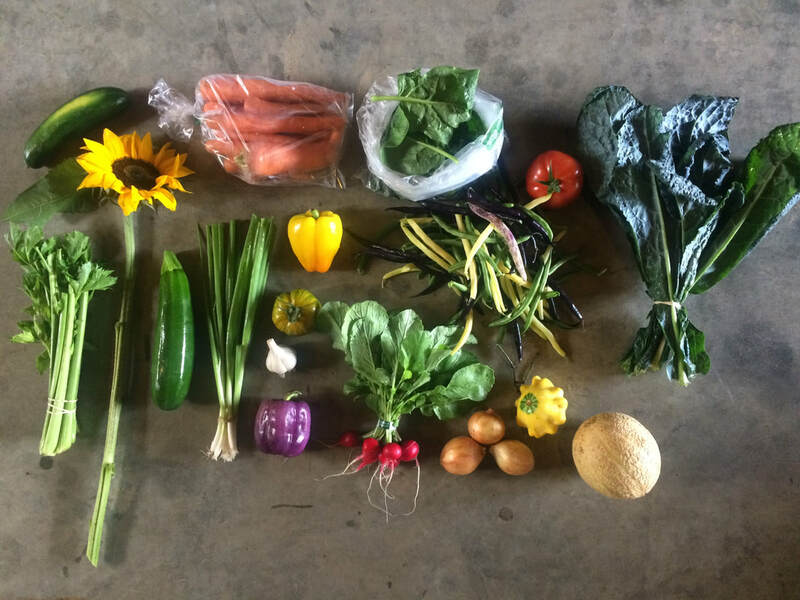 By joining our CSA you are becoming part of our farm for the year. This means sharing in all the wonderful abundances of tomatoes or homemade pesto. It also means accepting that farming is a risky endeavor, where we are constantly battling pests, disease, wildlife and the weather. Supporting local farms contributes to Vermont's agricultural economy. You will know who is growing your food and exactly where it was grown. Try new vegetables- we are always trying out different varieties of our favorite vegetables and new veggies we have never grown. Let us know what you want to see! October 12th Regular Share- Bonus end of season Share! If you would like to find out more about this program please contact us or visit the NOFA-VT website to apply for this great program.